Last summer American rapper Tramar Lacel Dillard a.k.a. 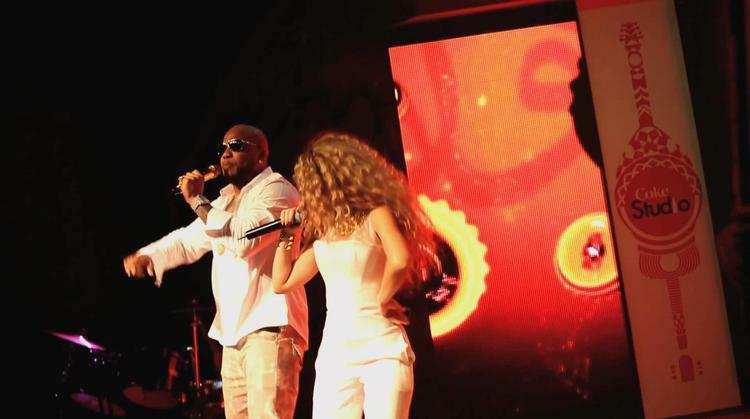 Flo Rida reprised his 2011 hit with Sia, “Wild Ones” with Lebanese pop star Myriam Fares singing Arabic lyrics as a counterpoint to his English-language rapping. Since Fares is singing an Arabic melody, which has different harmonics than the Western, she does not reproduce the Sia melody line. But Flo Rida’s rap lyrics are the same. I’ve noted before that in medieval Arabic poetry there is a genre that alternates an Arabic verse with one in another language, called mulamma`at, and this kind of collaboration echoes that technique.